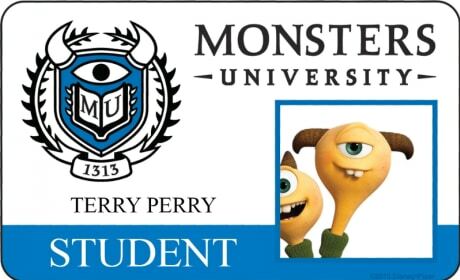 Terri Perry is featured in this fake Student ID from Monsters University. 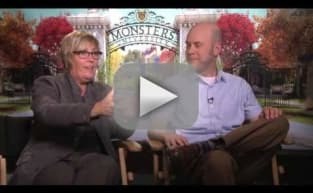 The animated prequel will premiere June 21. 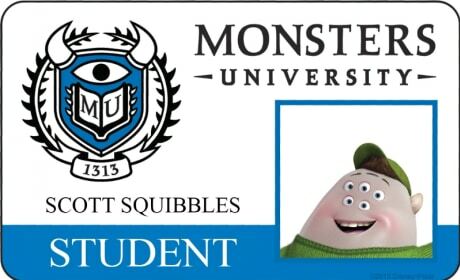 Scott Squibbles is featured in this fake Student ID from Monsters University. The animated prequel will premiere June 21. 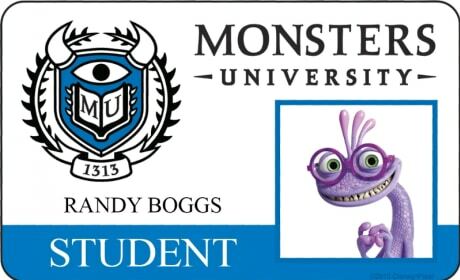 Randy Boggs is featured in this fake Student ID from Monsters University. The animated prequel will premiere June 21. 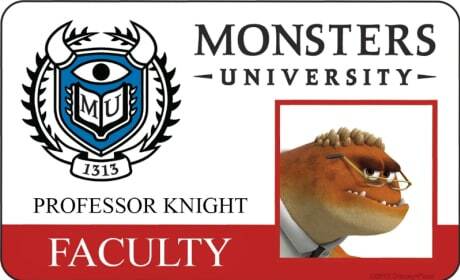 Professor Knight is featured in this fake Faculty ID from Monsters University. The animated prequel will premiere June 21. 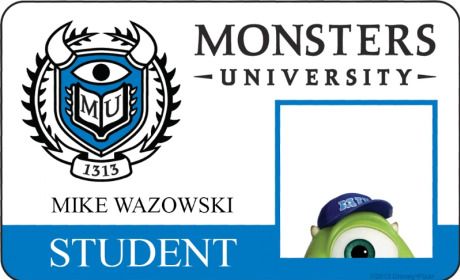 Mike Wazowski is featured in this fake Student ID from Monsters University. The animated prequel will premiere June 21. 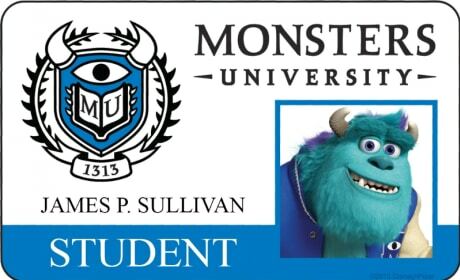 James P. Sullivan is featured in this fake Student ID from Monsters University. The animated prequel will premiere June 21. 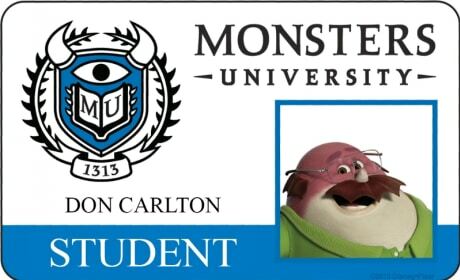 Don Carlton is featured in this fake Student ID from Monsters University. The animated prequel will premiere June 21. 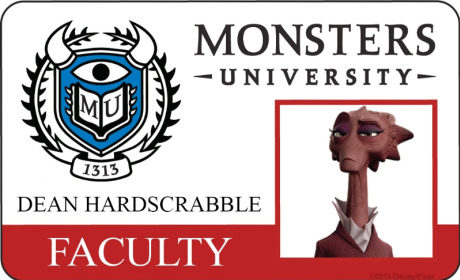 Dean Hardscrabble is featured in this fake Faculty ID from Monsters University. The animated prequel will premiere June 21. 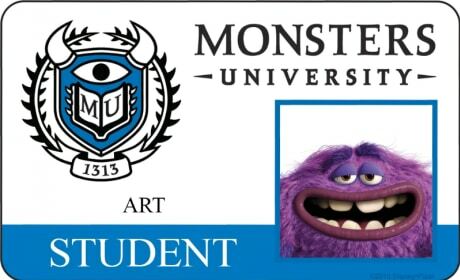 Art is featured in this fake Student ID from Monsters University. The animated prequel will premiere June 21. 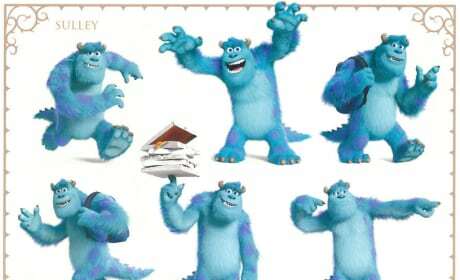 Sulley is featured in this Monsters University character art. 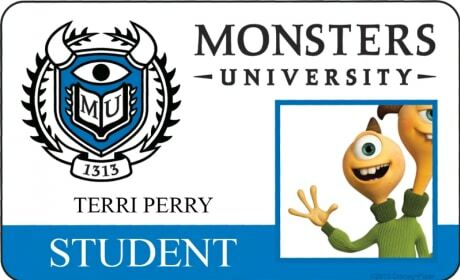 The 3D computer-animated sequel hits theaters June 21, 2013. 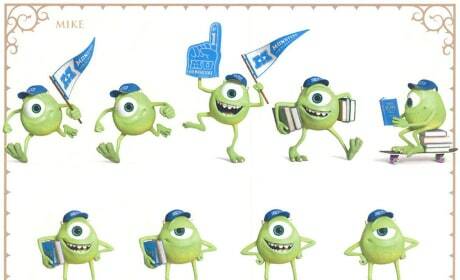 Mike is featured in this Monsters University character art. The 3D computer-animated sequel hits theaters June 21, 2013.